Is Bill Burr Gay ? A very talented personality and an American stand-up comedian, writer, actor and a podcaster William Frederic Burr aka Bill Burr are known for hosting a show "The Monday Morning Podcast" each week. Also, he is best known for playing the role of Patrick Kuby in the crime drama series Breaking Bad and for creating and performing in the Netflix animated sitcom "F Is For Family." He is a blissfully married man. 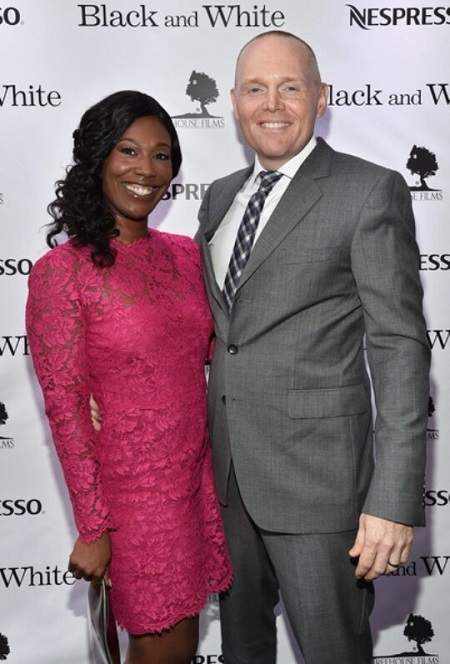 He married producer, screenwriter and director Nia Hill in 2013. The couple got married after dating for seven years and the duo are blessed with one daughter. 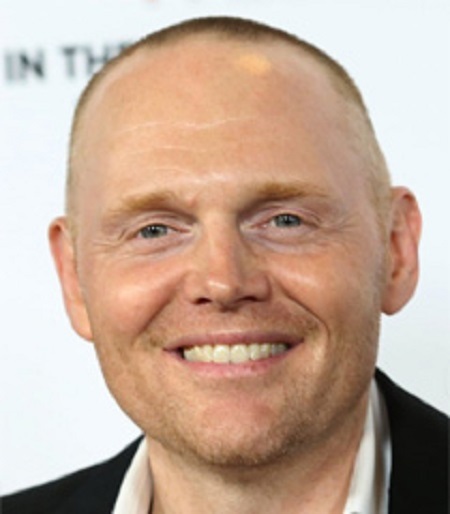 Bill Burr was born in Canton, Massachusetts, United State on June 10, 1968, to the Nurse mother Linda Ann and Dentist father Robert Edmund Burr. He was graduated from high school in 1987 and from Emerson College of Boston, he earned bachelor's degree in radio. He is of German, Irish and French descent. He worked in warehouses before he started his comedy career. Bill Burr started his career as a comedian when he was 24. He moved to New York to gain more opportunities. Since 2007 he began his weekly podcast, Bill Burr's Monday Morning Podcast. Also as a guest, he appears on radio shows and other comedian's podcast, such as The Nerdist Podcast, WTF with Marc Maron, The Adam Corolla Show, and You Made it Weird with Pete Hilmes etc. Bill Burr Speaks On "F Is For Family"
Burr's voice was featured in the Game Theft Auto IV as the voice of Jason Michael. He did 300 stand-up shows a year in his early career. In 2009 he became the first stand-up comedian to perform on The Tonight Show With Conan O' Brien. Burr joined comic stars Joe DeRosa and Robert Kelly to produce, write and star in a 2011 comic short called Cheat, which was a hitat the Tribeca Film Festival. In the same year, he received the 2011 Comedian of the Year Award from the Boston Comedy Festival. In 2014, Burr shoot his four-hour special I'm Sorry You Feel That Way at the Tabernacle Theater in Georgia. By the appreciation of fellow stand-up comedians, he is often referred to as comedian's comedian by observers of US stand-up circuit. Also, he has starred in the 4th and 5th season of AMC's Breaking Bad as Patrick Kuby. He played a role Jerry in 2015 movie Daddy's Home. Burr stars in the Netflix's animated comedy series F Is For Family which is based on the stand-up and political absurdity of Bill Burr. On January 2017, his five-hour-long special Walk Your Way Out was debuted on Netflix. Moreover, he also appeared in the third episode of the second season of the HBO series Crashing. A very talented personality Bill Burr is living a luxurious life. According to the sources he has estimated his net worth of $6million in 2017 and in 2018 also. He earns a good amount of money from his professional career. As per the sources we came to know that he earns around $500K from his stand-up comedy. He has estimated to have made over $2million from his role in movies. He has a lavish house in Los Angeles which is 2,604 square feet and had four bedrooms and three bathrooms which he bought for $1.08 million. Also, he has a Jaguar FX with a starting price $47,775. He is a licensed pilot. Bill a good comedian is a happily married man. He married producer, director, and screenwriter Nia Hill in 2013. The couple tied the knot after dating for seven years. The couple is living happily in their residence in Los Angeles and they are supportive of each other. The couple is blessed with daughter Lola, born on January 20, 2017. He is very active on different social media like Instagram, twitter, and facebook. Where he got the huge fan following in the social media. Also, he has his own sites billburr.com and YouTube channel. He is a blissfully married man. He married producer, screenwriter and director Nia Hill in 2013. The couple got married after dating each other for seven years and the duo are blessed with one daughter.